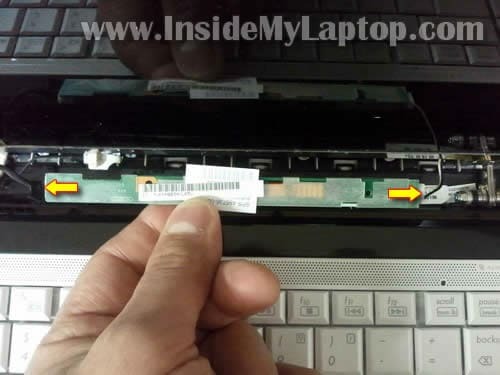 In this guide I show how to replace LCD screen on HP Pavilion dv4 laptop. 1. LCD with CCFL backlight (requires inverter). 2. LCD with LED backlight. In this guide I’ll be replacing the one with CCFL backlihgt. Also you can use this guide for replacing LED LCDs but they don’t have inverter boards so you’ll have to skip steps 8 and 9. Before you start make sure the computer is turned off. 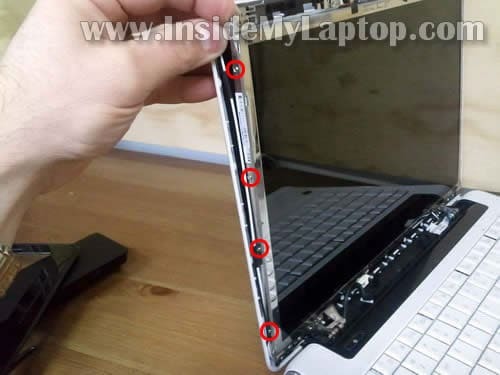 Remove the screw cover located in the lower left corner of the display. Remove one screw securing the front bezel on the left side. 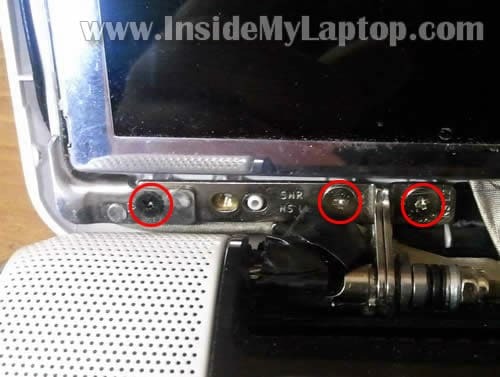 Remove the screw cover located in the lower right corner of the display. Remove one screw securing the bezel on the right side. Separate the top side of the bezel from the display cover. 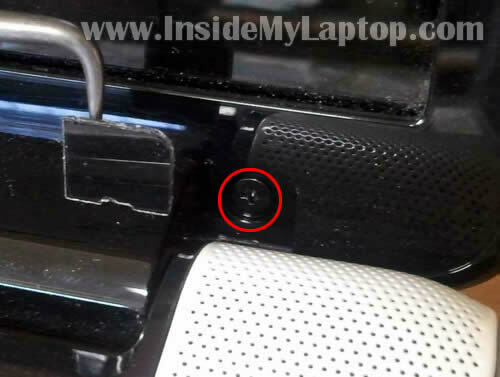 When the top side of the bezel separated from the display cover, move to the lower part. Lift up one side of the bezel with a small screwdriver. 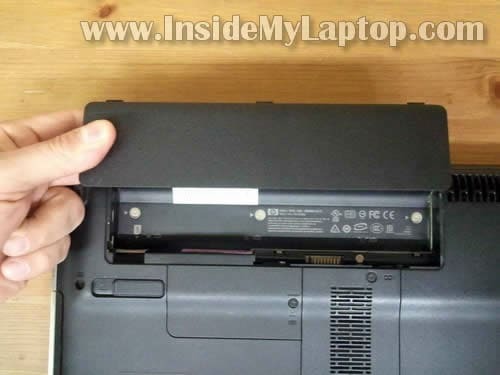 As I mentioned before, this HP Pavilion dv4 has a CCFL screen which requires an inverter board. The inverter mounted on the lower part of the display assembly. There are a few plastic tabs securing the inverter board. Lift up the inverter board and disconnect cables on both sides of the inverter. Loosen (do not removed) three screw securing the left hinge. Loosen (do not removed) three screw securing the right hinge. 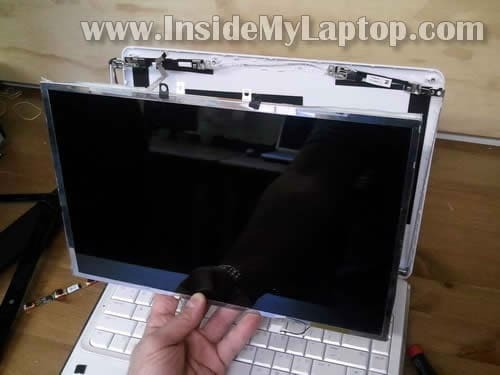 Now you should be able to separate the LCD assembly from the display cover just enough to access screws on both sides. Remove four screws from the right mounting bracket. Remove four more screws from the left mounting bracket. 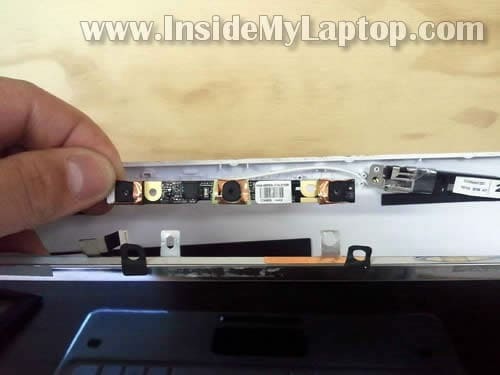 Carefully separate the LCD assembly from the back cover. The web camera module still attached and has to be disconnected. The web camera attached to the screen by two sticky aluminum strips. Disconnect the web camera cable on the left side. Remove the web camera module. 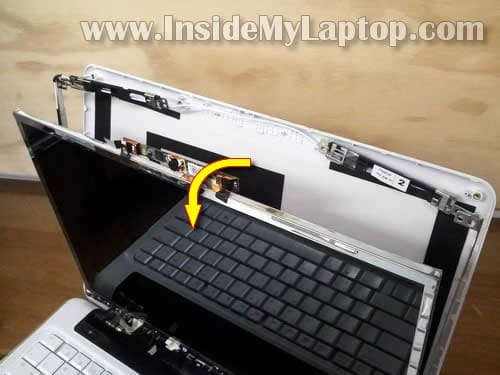 Place the screen face down on the keyboard. The back side is covered with aluminum foil shielding. 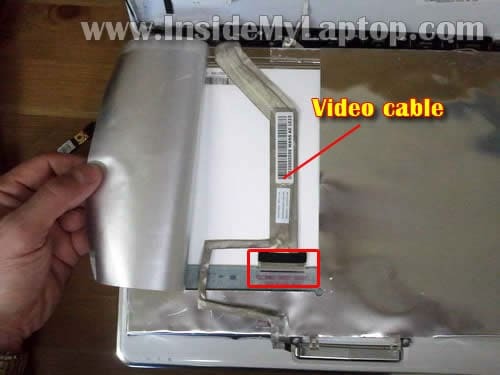 Lift up the shielding so you can access the video cable. Now you can remove the screen. Don’t forget that this laptop comes with two different screen types: CCFL backlit LCD and LED backlit LCD. 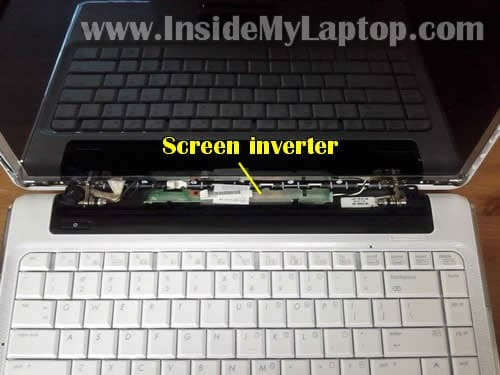 Make sure the find the correct type of screen for your laptop. 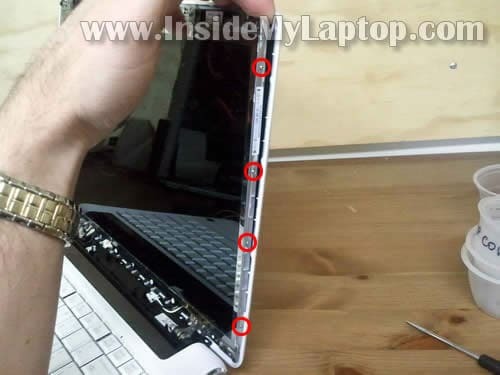 For the base disassembly please read my previous HP Pavilion dv4 guide. I have an HP with vertical lines on the screen. I would like to use a monitor and have the broken screen lie flat. How do I “break” the hinges? You don’t have to break hinges. 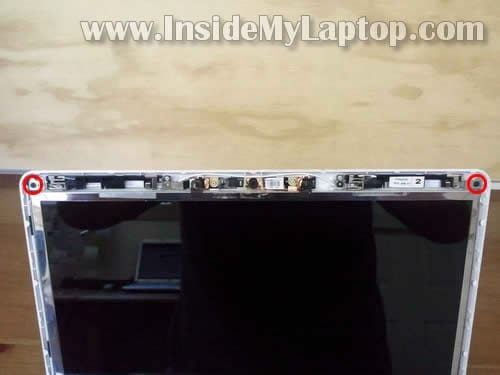 You’ll have to remove the entire display panel and use just the laptop base. You can remove the display panel as it shown in the step 19. After that assemble the laptop back together and use it with an external monitor. NOTE: the wireless card antenna cables running inside the display assembly. When you remove the display, you disconnect antenna cables from the wireless card. It means you will not be able to use internal wireless card. But it shouldn’t be a problem because you can buy an external USB wireless card. Sir, thank you thank you. 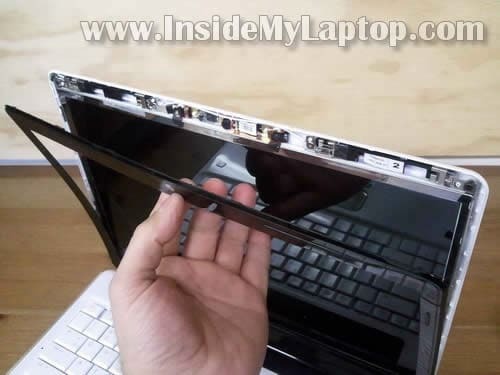 My laptop screen has not worked since I dropped it in the summer. 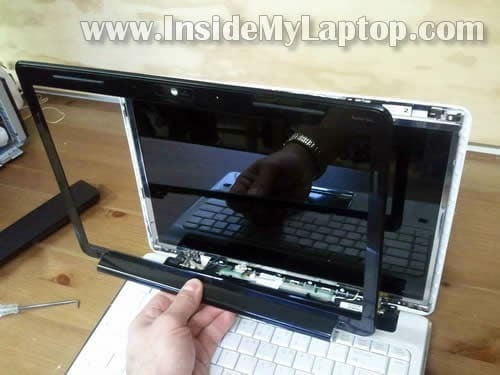 I assumed the screen was OK, because it fell on intersection of the display panel and the rest of the laptop. Been hooking it up to external monitors ever since, which totally defeats the purpose of a laptop. I do not want to use IML Techs (sorry, IML Tech) because I am el Cheapo. Besides, the price for a tech would have probably made it worth buying a new laptop (mine was $400). So I first bought a display inverter on eBay for $6. Switching it out made no difference. So I bought a new display cable, and now I’m back in business. Not sure about making a donation, I’ll think about that. But you def deserve to get paid for this. Any LCD screen replacement guides for the HP Envy 17 3D? Hi I recently purchased an HP pavilion dv4 from some fool for $20. Problem is the backlight is out I think….. Well it had been displaying complete blackness until my friend took the whole thing apart and put it back together again! Lol now i can see that the screen is displaying but its not lit up so its hardly visible. What do you suppose needs replaced on it? Hi, I just replaced my broken screen(I have the version with the CCFL backlight) and as far as I can tell, I did everything correctly according to your instructions. When I go to start up my screen, all I get is a black screen. You can tell the backlight is on, the screen is just blank. Do you have any ideas what I may have done wrong before I attempt to disassemble it again? Thanks in advance. I just replaced my broken screen(I have the version with the CCFL backlight) and as far as I can tell, I did everything correctly according to your instructions. When I go to start up my screen, all I get is a black screen. You can tell the backlight is on, the screen is just blank. Do you have any ideas what I may have done wrong before I attempt to disassemble it again? 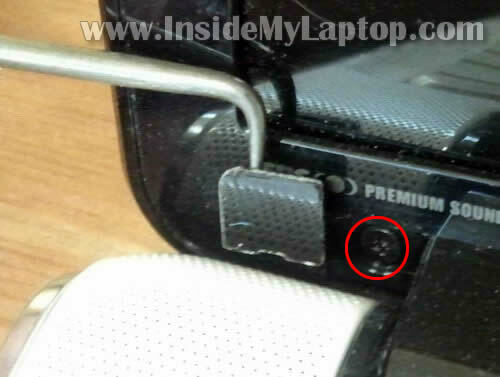 It’s possible the video cable not seated correctly on the back of the screen. Try reconnecting the cable. 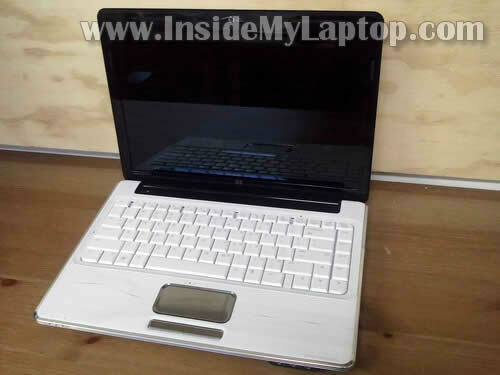 Hello, i was going through your guide to disassemble the laptop, i have got a hp pavilion dv4, with a lcd display. I had disassembled my laptop to clean the cpu fan as i had heating issues. 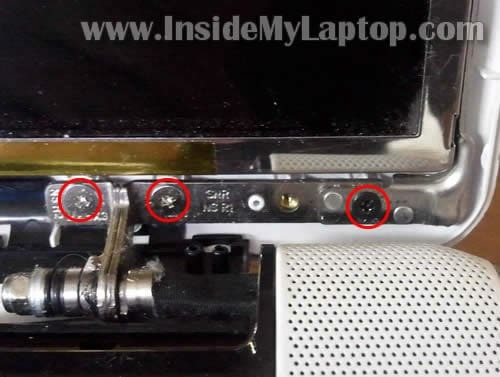 The last step was removing the motherboard which wasn’t mentioned in your guide which turned out that there are two screws securing a port (i don’t know what port it is? a flat port). The reason im here on this page is that after i assembled my laptop, when i tilt the screen at different angles the whites turn purple (when i open the screen the colors are ok and then if i pull it a little bit towards my self or if i shake the screen, the whites turn purple). I thought that maybe the video jack wasn’t in place or was loose, so I re-disassembled and assembled it, but with no luck. What could be the problem? The video cable itself of something else? If its the video cable then where could i order it and any serials or models of it? Hi there i tried doing some research on the video cable for my laptop but still without luck. I have a pavilion dv4-1509tx with a lcd screen and not the one with the inverter. Hello. Does the HP dv8t Quad Core model have a screen inverter? I have replace my ram (both modules) and the motherboard and the screen is still blank. Power and hard drive lights come on. Sort’ta at a loss, don’t want to write the laptop off its still in good shape. Does the HP dv8t Quad Core model have a screen inverter? I have replace my ram (both modules) and the motherboard and the screen is still blank. Power and hard drive lights come on. Sort’ta at a loss, don’t want to write the laptop off its still in good shape. Yes, I believe this laptop has a CCFL screen. When inverter fails, the backlight will not work BUT you still should have a very dim image on the screen. Take a closer look. If there is NO image at all, not even dim image, most likely the problem is not related to the inverter board. 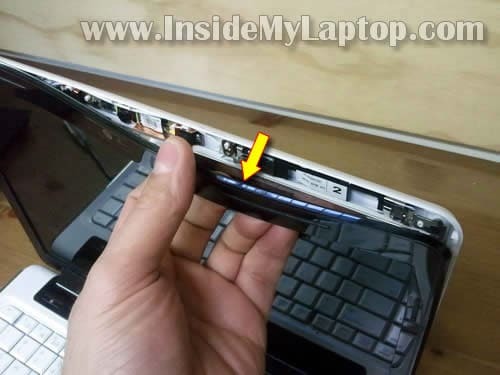 Also, test your laptop external video. 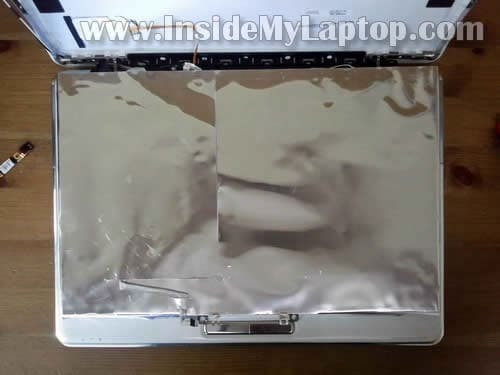 Even if laptop screen, inverter fail, the laptop still should output video externally. Does external video work? 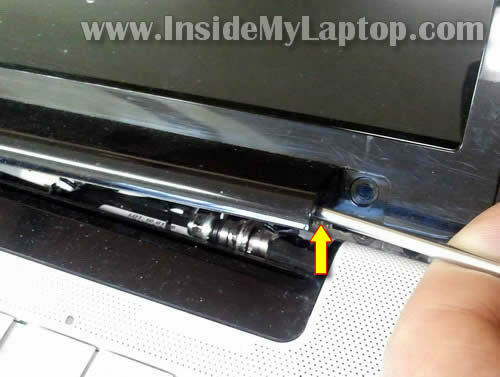 You’ll have to remove the top cover assembly as it explained in STEPS 1-15 in this HP Pavilion dv4 disassembly guide. 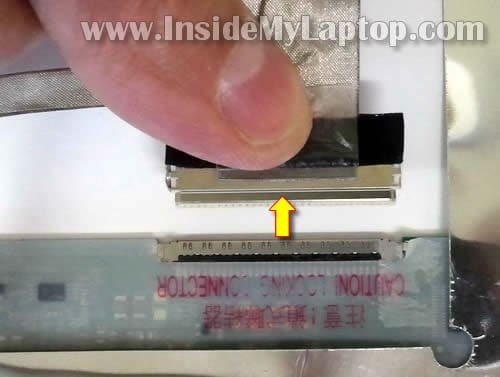 After the top cover removed, you can access and unplug the LCD cable from the motherboard.